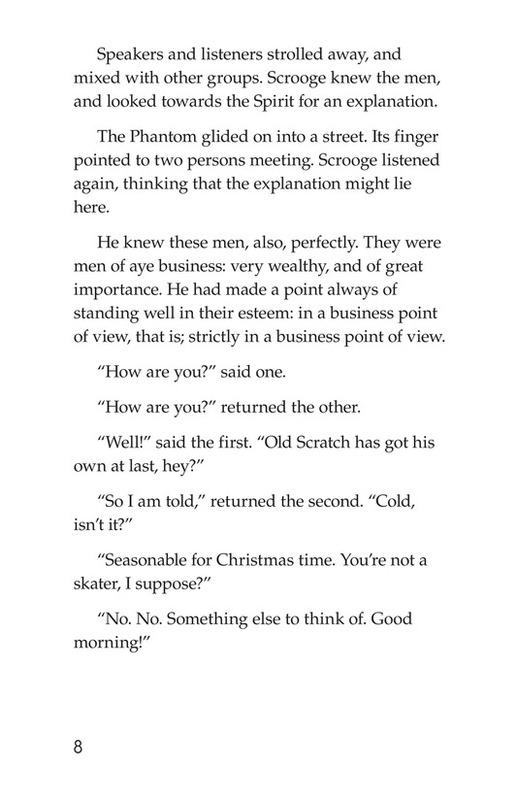 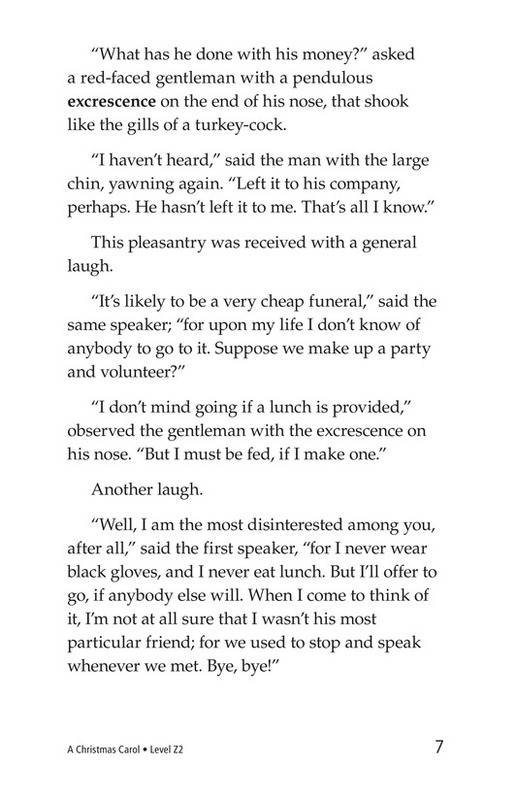 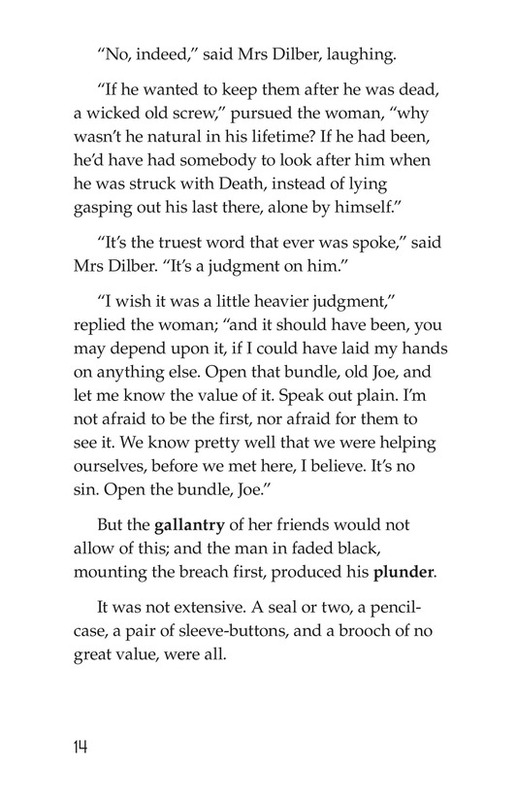 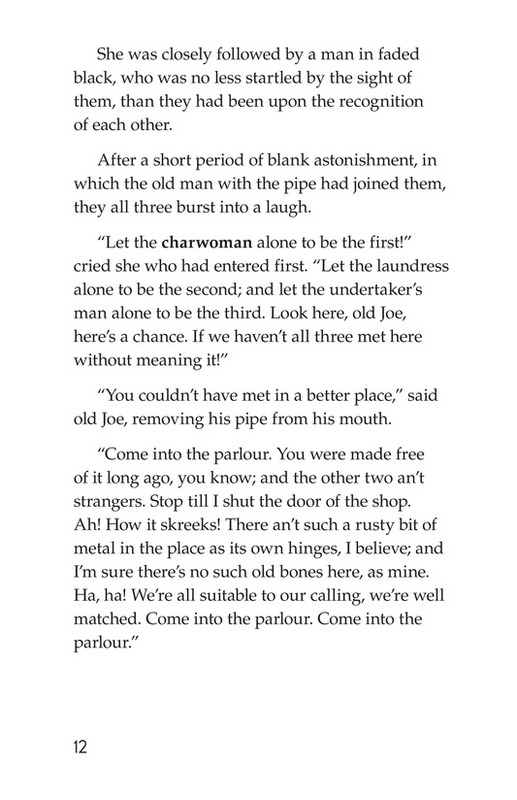 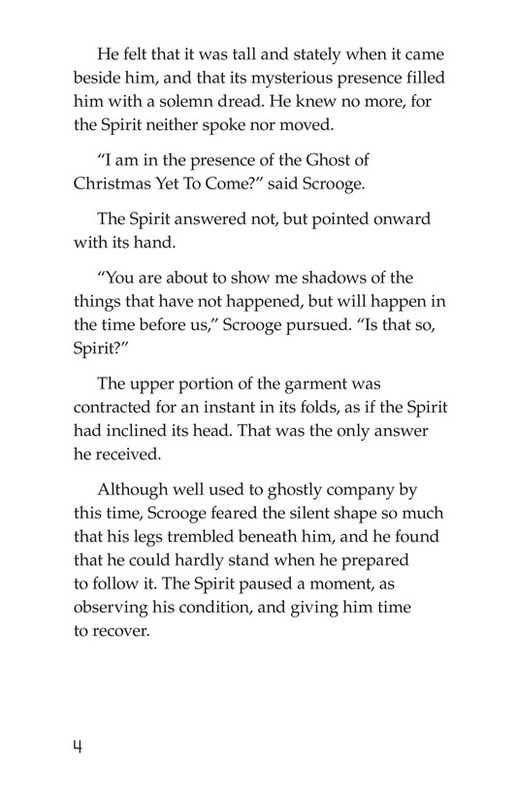 The Ghost of Christmas Yet To Come, a hooded, silent figure, takes Scrooge to a group of businessmen who are discussing a man's death and funeral with disdain. 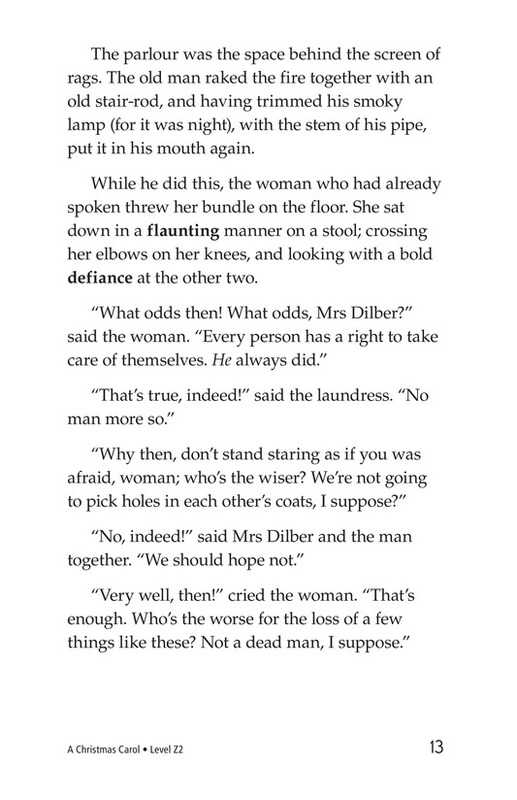 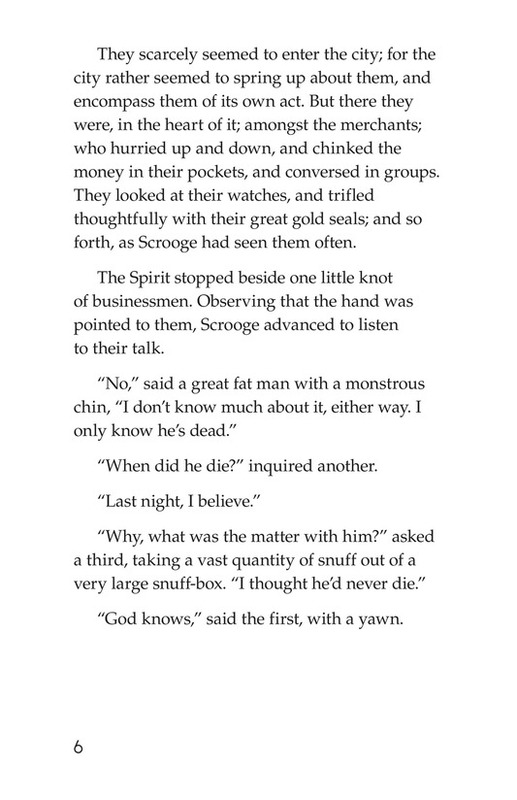 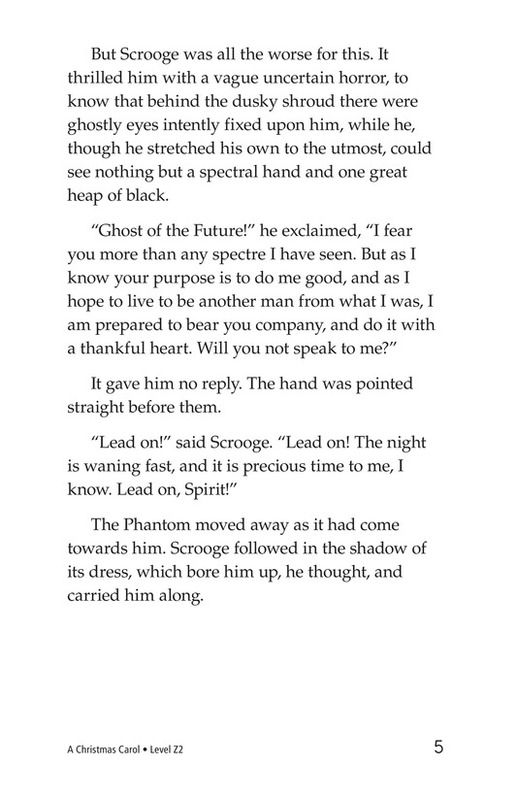 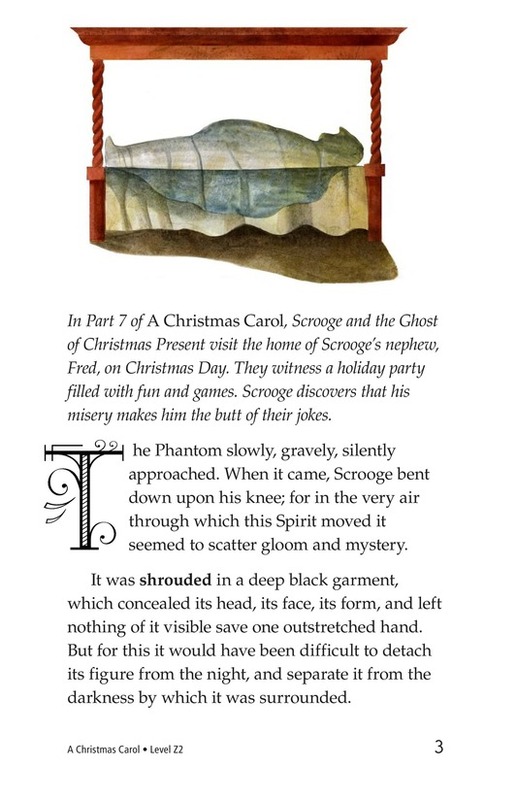 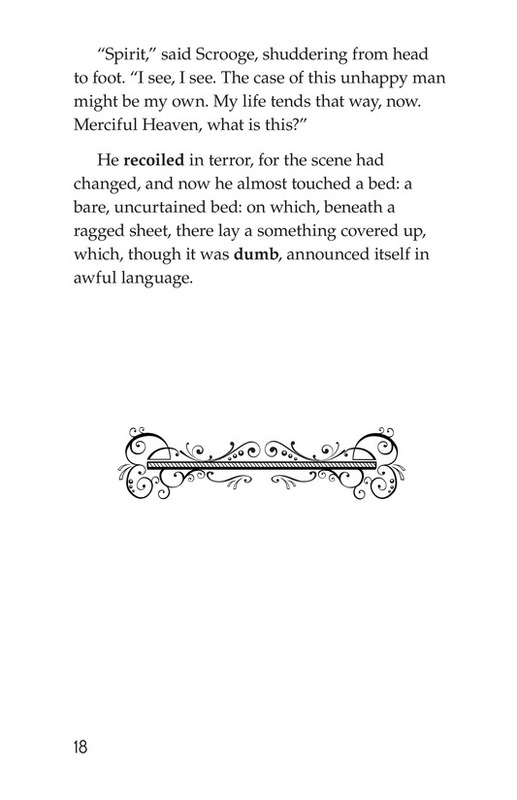 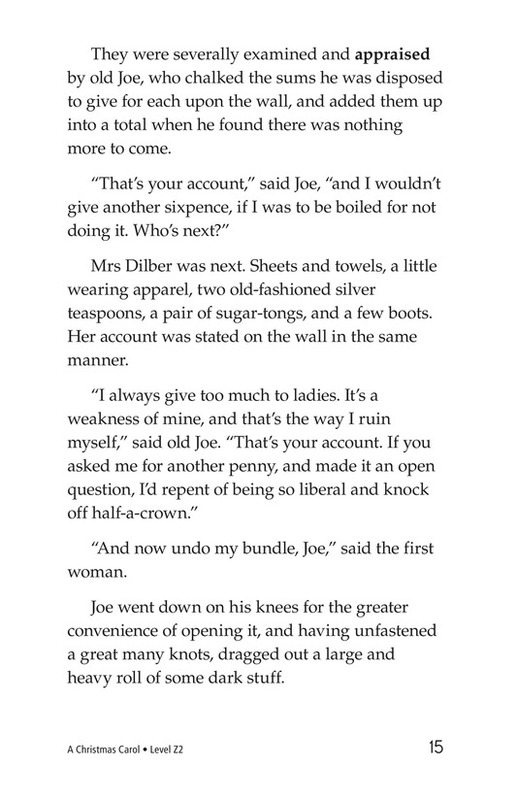 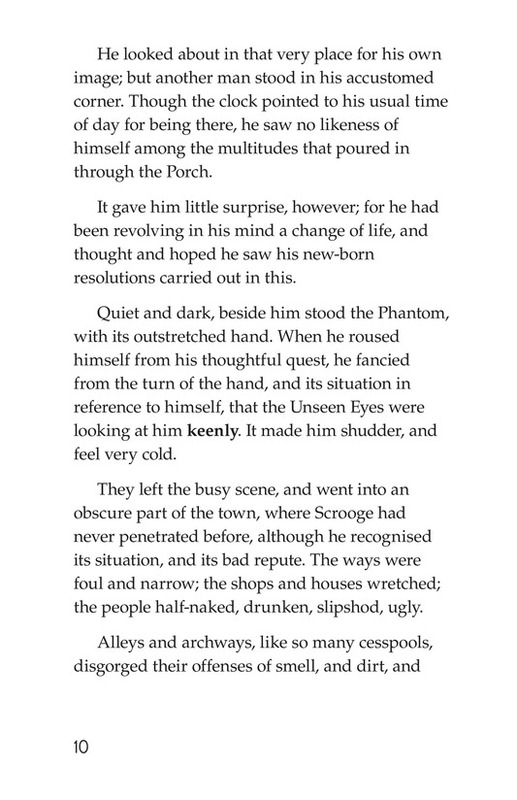 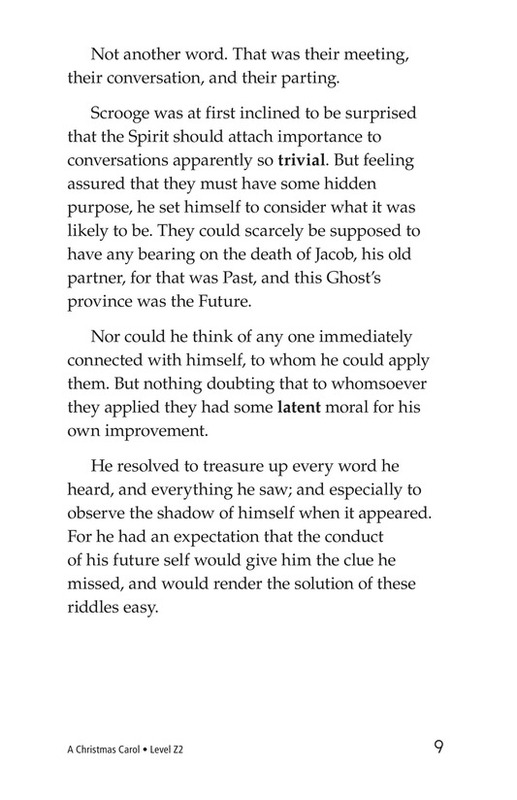 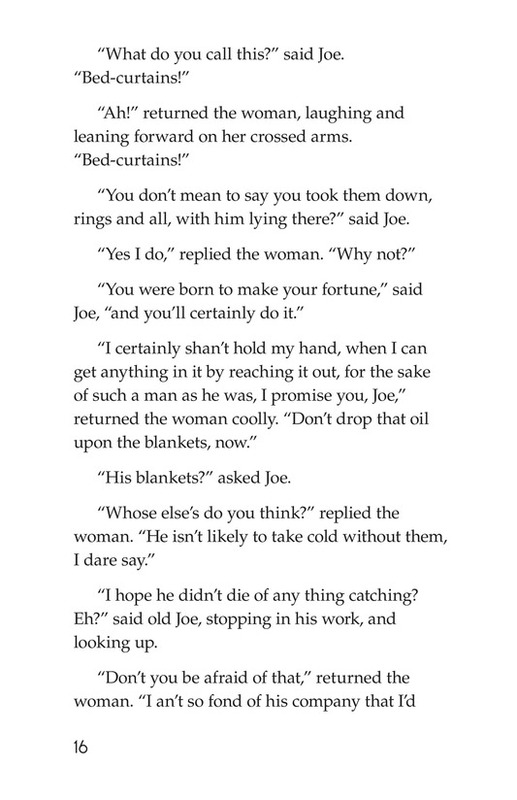 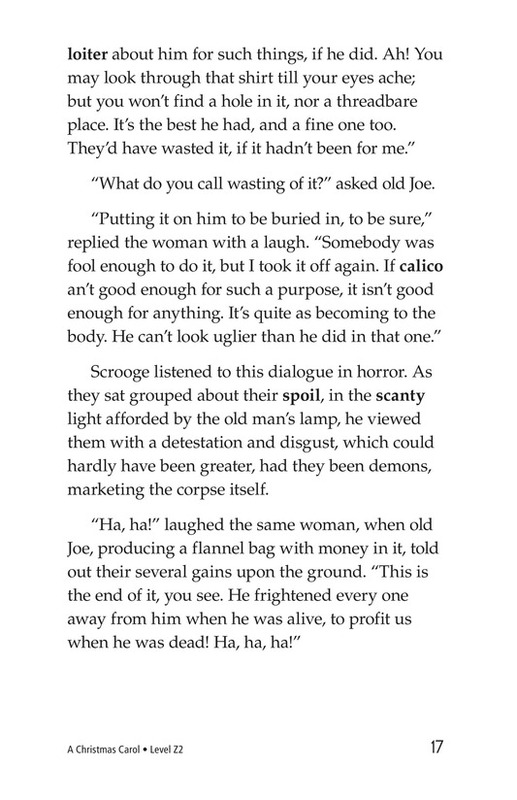 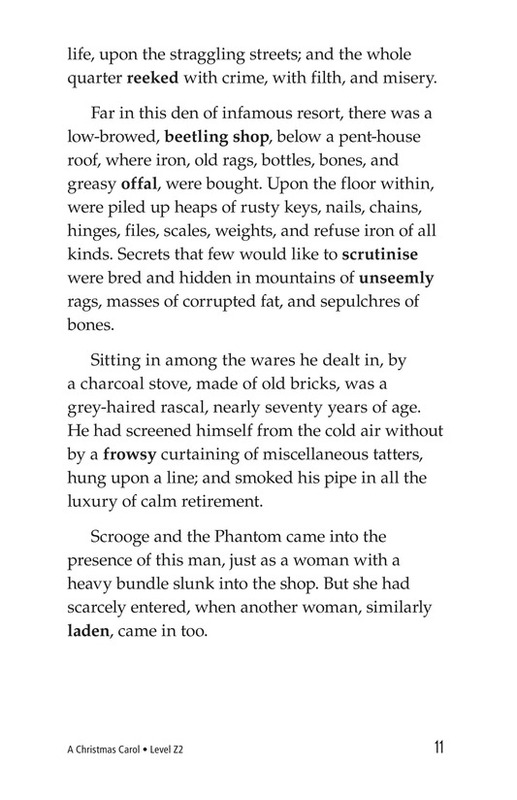 Then, the spirit brings him to a pawn shop where Scrooge watches as the man's few earthly possessions, which have been stolen from his deathbed by strangers, are sold without remorse. 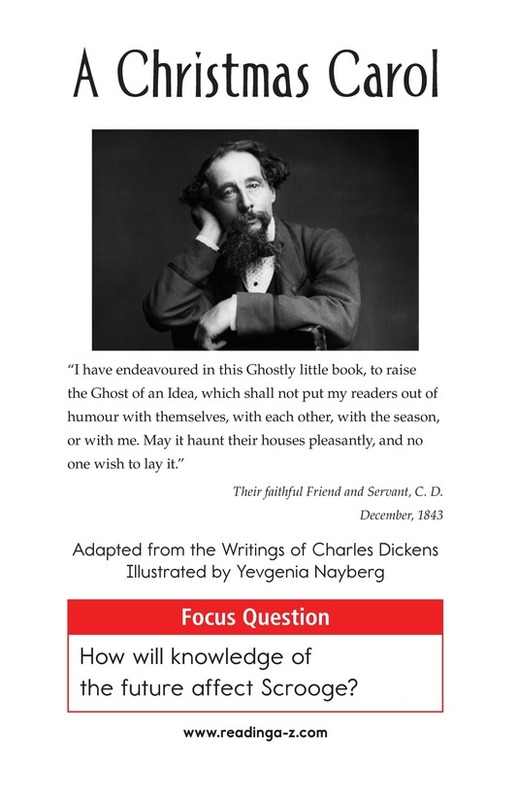 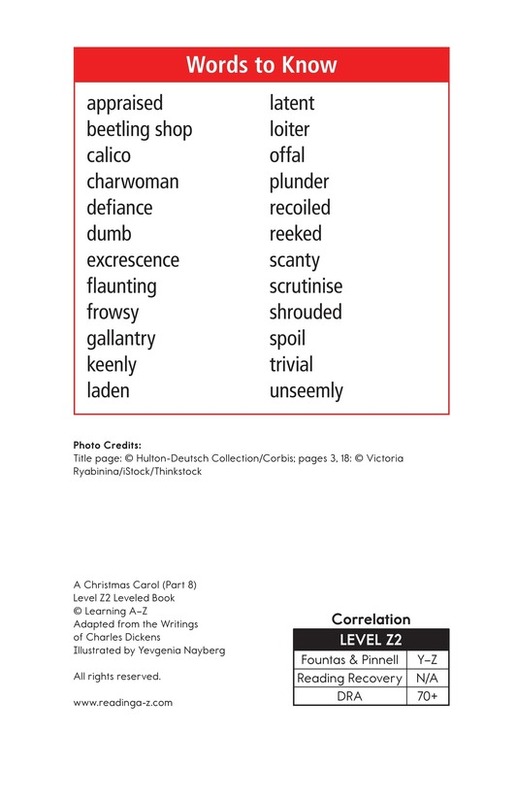 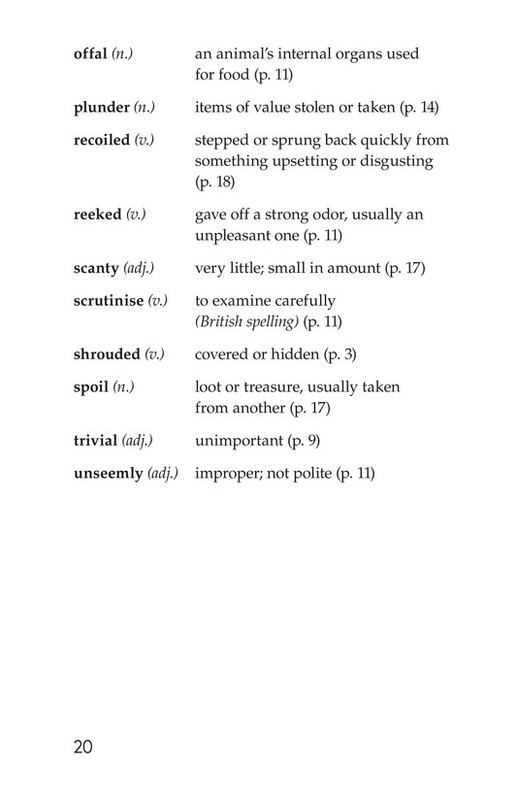 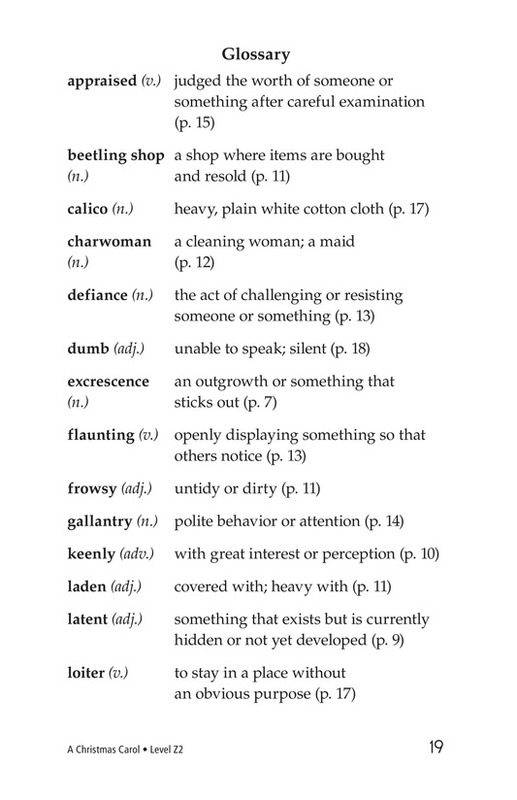 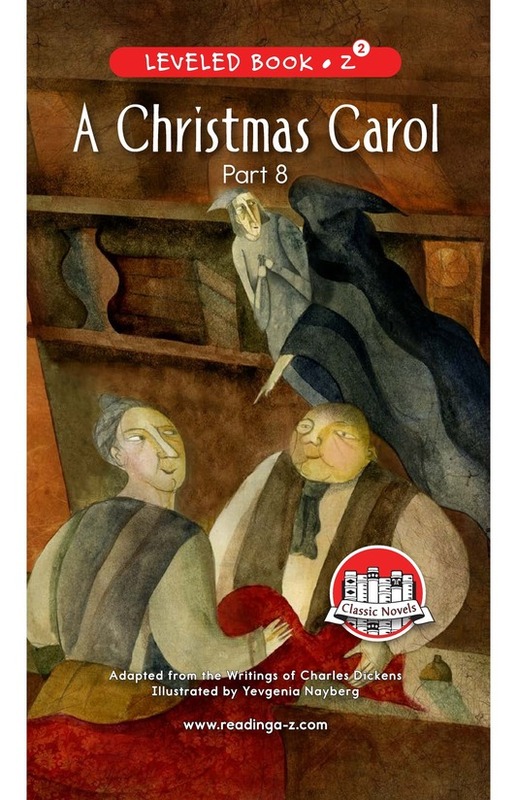 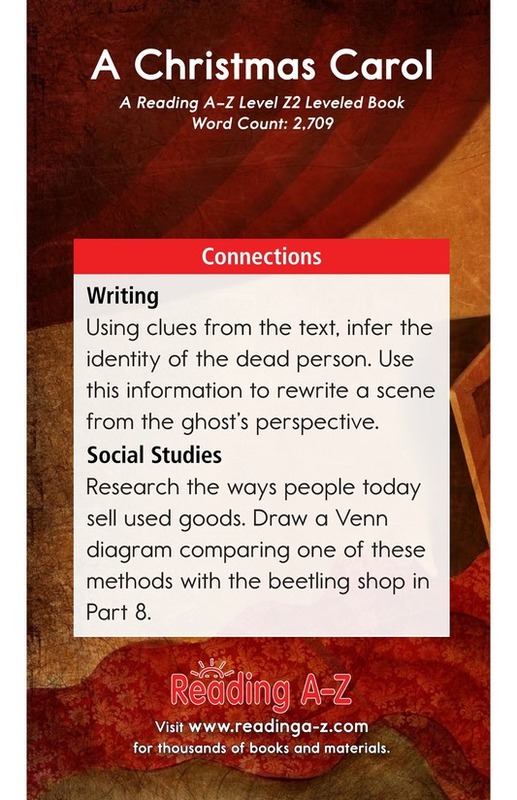 See A Christmas Carol for other parts of this Classic as well as the lesson plan, worksheets, and discussion cards.